Angry Birds went where no bird ever went before. First there was just Angry Birds then they went to space and now they went Star Wars. And that means that there is some fun Angry Birds Star Wars merchandise out there like this plush. 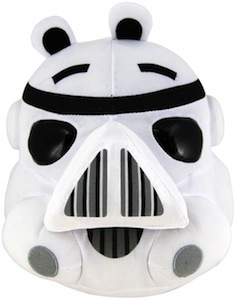 This is a 5″ tall plush Pig Stormtrooper all complete and fun just like you can expect from Angry Birds. The plush is of course a must have for a Star Wars and Angry Birds fan. And this plush is not only amazing looking it is also super soft. Come and get your own Angry Birds Star Wars Stormtrooper Plush. With Rovio’s games of Angry Birds and Bad Piggies a fun Plush is what you need. This 5″ plush is a green pig. Just the regular pig we find in both games but now soft and cuddly. And when you squeeze the pig you get authentic game sounds. 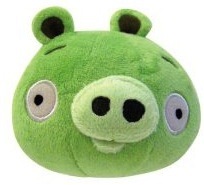 So Angry Birds fans come check out this Green 5″ Pig Plush. There is Pikachu the Pokemon creature that everyone loves. 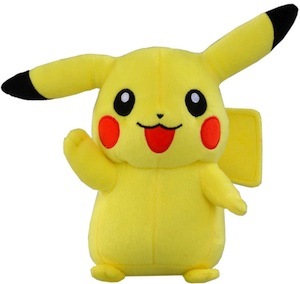 This yellow character can now be even more part of your life a it is a plush version of Pikachu. And Pikachu is 7″ tall and that makes it the perfect plush for a true Pokemon fan. So if you like to cuddle with Pikachu then this is what you want so come get your Pokemon Pikachu Plush. I played the first Rayman Raving Rabbids game on my Wii and those screaming rabbids where freaky. Now you can have your own rabid that scream when you push it’s belly. 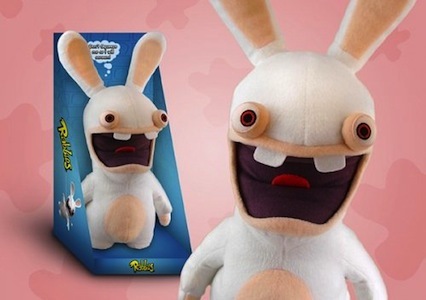 This 14″ plush is just like the rabbids in the video game . So if you like Rayman Raving Rabbids then you just need this plush so don’t wait just come get your own Rayman Raving Rabbids Screaming Plush. Angry Birds players maybe not know about this new bird. This is the Ice Bird from Angry Birds Space. And as expected this bird makes things turn into ice. But this is just a 5″ plush version of this new Angry Bird. And the Ice Bird has build in sounds that come right out of the game. 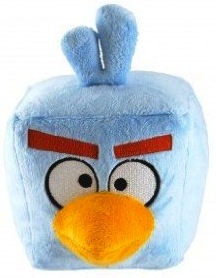 If you like plush Angry Birds then you have to get this Angry Birds Ice Bird Plush. For some Cut The Rope is more addicting then Angry Birds. Me personally had to remove Cut The Rope of my phone to get any work done. So we agree that Cut The Rope is fun and addicting. And now there is a 5″ super soft Om Nom plush witch will not eat all your candy but looks like it will. This green monster looks just like in the video game and if you have one of these plush monsters you don’t have to worry any more about the monsters under your bed as Om Nom will scare them all away. 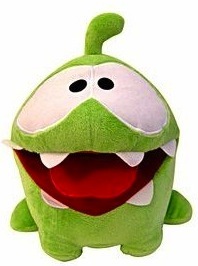 Time to stop playing Cut The Rope and order your own Om Nom 5″ Plush. What is this cat doing at this website you wonder. Simple this is soft kitty and she sings. The Big Bang Theory fans know about Sheldon’s song for when he is sick. Soft kitty is that song and he always tries to get Penny to sing it to him. And now Penny can sing this song to everybody who gets this soft kitty plush. Yes this plush cat will sing the soft kitty song to you and the voice who sings it for you is Penny’s voice. 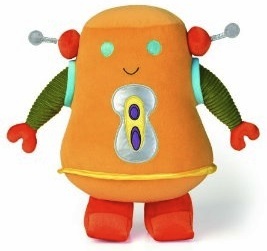 If you are looking for a present for your Sheldon Cooper then this could be it. 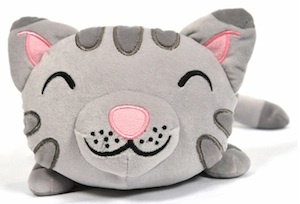 Make Penny sing soft kitty for you with this Soft Kitty Singing Plush Cat. Star Wars fans all over the world will be so impressed about this R2D2 backpack. This backpack of R2D2 measures 2o inches long so that is not huge but still the Star Wars backpack is big enough to hold things like your wallet, book or a drink. If you are in to robots then this is the backpack for you special because it is shaped like a really special robot it’s shaped like R2D2. 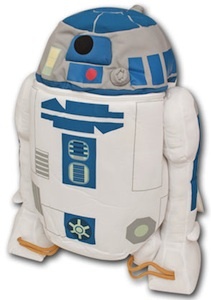 You just have to check out all the details of this Star Wars R2D2 Backpack.